A new ‘spin-out’ development company formed out of Liverpool’s £2bn Knowledge Quarter (KQ Liverpool) made its first public pitch to potential global investors at MIPIM 2019. 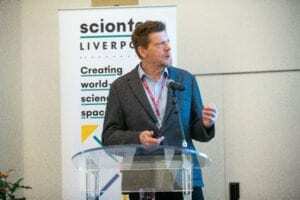 Sciontec Liverpool is a partnership between Liverpool City Council, the University of Liverpool and Liverpool John Moores University to create new world-class science and tech workspaces across the city. At the MIPIM global property expo in Cannes on Wednesday 13 March 2019, Sciontec invited expressions of interest from eligible investment professionals and high net worth companies, funds, partnerships and trusts to subscribe for up to 25% of the company’s equity share capital. At a breakfast event at the Hôtel Barrière Le Gray d’Albion Mayor of Liverpool Joe Anderson and Sciontec Liverpool chief executive Colin Sinclair also revealed potential modernisation and expansion plans for Liverpool Science Park and featured a first look at images of No 5 Paddington Village. This will be a new world-class science and technology building being proposed for Liverpool City Council’s £1bn Paddington Village development site. “The knowledge sector is at the heart of our growth strategy for Liverpool with health and education crucial to our goals in raising aspirations, attracting quality jobs and growing our overall economy. “Through the designated Mayoral Development Zone, Paddington Village and now Sciontec Liverpool, we continue to demonstrate our commitment to developing new opportunities for growth in and around the Knowledge Quarter and the wider city region. “Last year at MIPIM, we made clear our intentions to bring together the city’s existing science and tech buildings, such as Liverpool Science Park and Sensor City, while also developing and operating new world-leading science and tech workspace and labs in Liverpool. DLA Piper LLP UK, Ernst & Young and CBRE are advising Sciontec Liverpool. 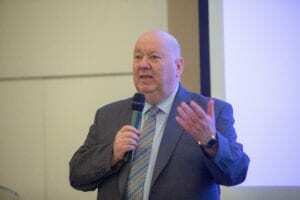 Speaking at the event, Mayor Anderson said: “The knowledge sector is at the heart of our growth strategy for Liverpool with health and education crucial to our goals in raising aspirations, attracting quality jobs and growing our overall economy. Colin Sinclair, chief executive of Sciontec and KQ Liverpool, said: “Last year at MIPIM, we made clear our intentions to bring together the city’s existing science and tech buildings, such as Liverpool Science Park and Sensor City, while also developing and operating new world-leading science and tech workspace and labs in Liverpool. 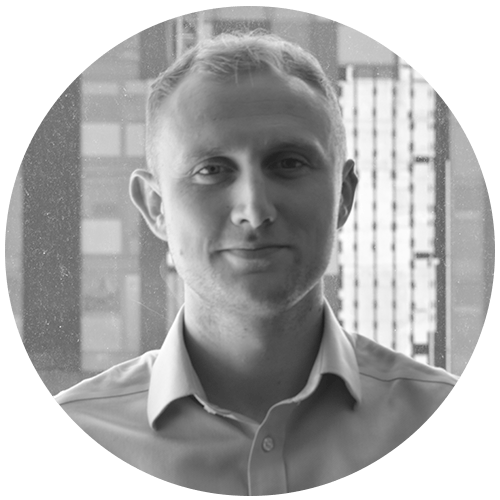 “The creation of Sciontec Liverpool embodies the first step in our vision to create the most innovative buildings in the world and develop a wider eco-system that benefits from economies of scale and is somewhere that spin-outs, start-ups and SMEs can flourish, while also attracting greater inward investment. Interested parties are invited to visit sciontec.co.uk, where, subject to eligibility, they can download an Information Memorandum and Expression of Interest forms.